Rockpool is a celebration of summer and colour, capturing the spirit of a quintessential Australian beach day. 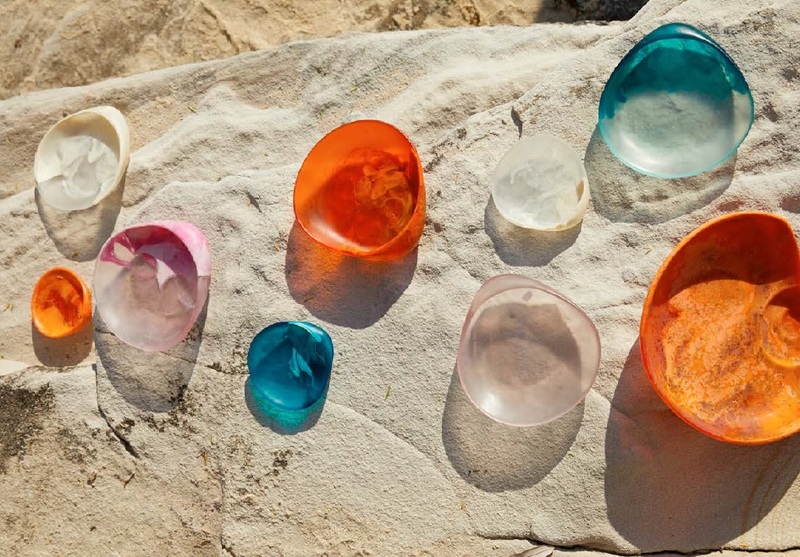 The palette and shapes are playful, with bursts of swirl coral, storm blue, turquoise and cooling ice pink and peach taking on the forms of wondrous treasures found on the seashore. Oversized shells and coral clusters make perfect statement earrings and necklaces for the holiday season, and new Pipi necklaces are intertwined with pearls. Rings and bangles stack to become glorious, textured, reef-like forms and throughout the collection, golden pieces provide sun-drenched accents. Taking on the spirit of the jewellery, new homewares take on large shell forms perfect for summer entertaining spreads. Like treasures washed ashore, Rockpool vases and shell platters feature soft, organic shapes and swirls of colour and translucence.